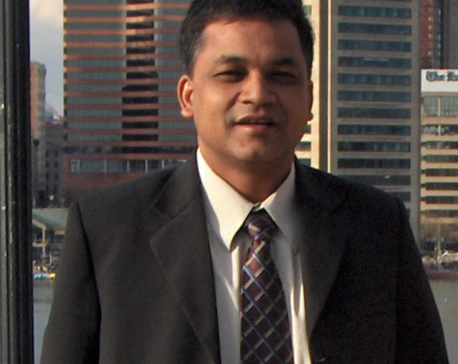 Anirudra Thapa is a professor at the Central Department of English, Tribhuvan University. He has been teaching for over 20 years. 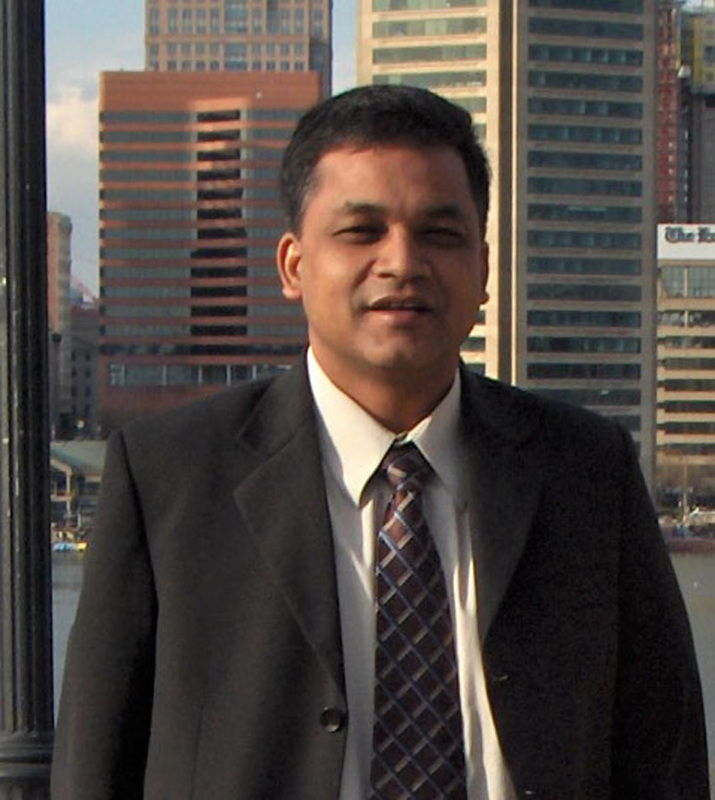 Prof. Thapa teaches a range of courses, including literary theory, courses in American, British, and post-colonial literatures, rhetoric and writing, and communications to MA and M. Phil. students. He also supervises Ph.D. students. 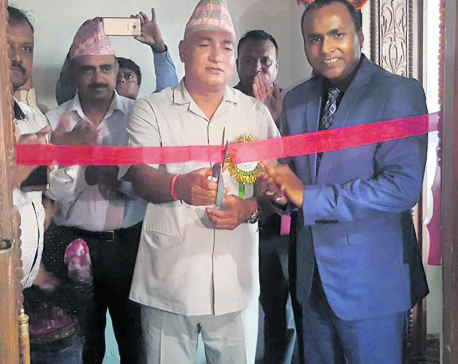 Dr. Thapa received his Ph.D. in American literature and culture in 2007 from Texas Christian University, US and also taught there as a senior between 2007 and 2009. In conversation with Republica, he talks about his motivation to teach everyday and the importance of English studies and its contribution to society. What motivates you to go to the class everyday and teach? Teaching is a profession of my choice. I quit a promising career in banking to pursue teaching. So, motivation was already there and my students help me sustain it. Despite our attempt to redefine education as a purely vocational and job-oriented pursuit these days, the goal of my teaching is to foster the fundamental values of liberal education—inquiry, critical thinking, and communication. Nothing else could be more motivating for me than to be with young minds and discuss issues with them and learn in the process. I don’t quite know how other classes go. Every teacher is unique; but we share some broad common goals envisioned by the curriculum. I am only responsible for facilitating students’ inquiry process through in-class discussions, individual conferences, effective sequencing of reading materials and assignments that help them move from reading to reflection and to self-discovery. What changes would you like to see in Nepal’s English curriculum? Curriculum is only a means; sometimes we take it as an end in itself and deliver it as if all that students need to know is the facts and information included in the textbooks. The problem as such is not in the curriculum; it’s in the delivery, especially when we forget the envisioned outcomes of a curriculum. Take an example: we have a writing component in compulsory BA English. The purpose of the course is to make students write. But we tend to teach students about writing than requiring them to practice writing. We then ask question in the exam: ‘What is a five-paragraph essay?’ instead of asking them to write one. Yes, curriculum should be dynamic and address the ever-changing needs of the society too. From this angle, we need to include courses on emergent areas such as digital writing, new media, and computational humanities so that our graduates can go beyond traditional job market. I try to help them believe in themselves. I don’t assume that my students come to class with an empty mind. All I want to do and need to do is to build upon what they already know. This allows me to help students feel that they belong to and own the class. How does this subject contribute to the society and is it applicable to find jobs in the real world? English is basically about language, communication, critical thinking, and acquiring cultural and civic literary. Its primary contribution to society is to produce informed citizenry who is equipped to understand the nature of human experience. An English studies graduate can get employment in diverse areas such as communication, journalism, teaching, and online businesses. Most of our graduates have successfully landed jobs in teaching, journalism, and foreign services. Why should young generation take up English literature in college? I think the young generation understands the significance of the word ‘choice’ better than our generation did. I can only tell them that all the choices they make should come out of conviction and reasons. There are several reasons to choose English studies—acquiring knowledge of global literary, cultural, and philosophical traditions; enhancing language and communication skills; preparing oneself for a meaningful civic engagement. A prospective student who is thinking of pursuing English studies, among other things, must have passion for reading and a curious mind of asking questions.